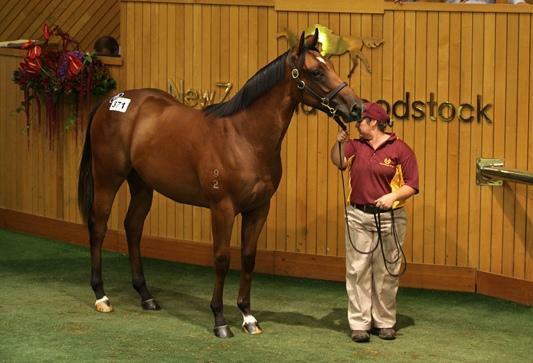 FASTNET ROCK (AUS) (Bay 2001-Stud 2005). 6 wins to 1200m, VRC Lightning S., Gr.1. Champion Aust. Sire twice. Sire of 1328 rnrs, 913 wnrs, 110 SW, inc. Super Cool (VRC Australian Cup, Gr.1), Atlantic Jewel, Sea Siren, Fascinating Rock, Planet Rock, Mosheen, Driefontein, First Seal, Amicus, Heroic Valour, Awesome Rock, Atlante, Foxwedge, Lone Rock, Catchy, Rivet, Diamondsandrubies, Qualify, Magicool, Nechita, Rock 'n' Pop, Irish Lights, Wanted, etc. Three Votes (g. by Fastnet Rock). 5 wins. See below. THE HEAVYWEIGHT (Zeditave). 8 wins-3 at 2-to 1200m, A$377,935, VRC Maribyrnong P., Gr.2, VATC Debutant S., L, SAJC Bonnetts Saddlery Flying H., City of Woodville H., MVRC Lintas Australia Day H., SAJC Port Magpies H., 2d AJC Hobartville S., Gr.2, Royal Sovereign S., Gr.3, VATC Blue Diamond Prelude, Gr.3, Merson Cooper S., Gr.3, AJC Hall Mark S., L, VRC Maribyrnong Trial S., L, Oakbank RC Clipsal S., L, SAJC LR Hotel Flying H., VATC Honda Legend H., MVRC Koala Toys H., SAJC Family of Man H., Flying H., 3d AJC Galaxy H., Gr.1, VATC Oakleigh P., Gr.1, AJC Shorts H., Gr.3, VRC Standish H., Gr.3, Mollison H., L, MVRC Christmas Tree H., SAJC Heritage Collection Trophy, Keough Sand Depot H., Amarant H., MVRC Leslie Froggatt P., SAJC AWA Computer Support H., Manikato H., 4th SAJC RN Irwin S., Gr.3. HAPPY STRIKE - LISBOA STAND (Mac.) (Gold Fever). 9 wins-1 at 2-at 1000m, 1200m, A$166,250, M$2,716,650 in Aust. and Macau, MRC Vain S., L, Macau Directors' Cup, L, MRC Newminister 2YO H., Macau Bundarra H., 2d MRC Daihatsu That's Who H., Zephyr Bay H., Heroic H., MVRC Waterford Crystal Trophy H., Royal Women's Hospital Sprint H., MRC Club 2YO P., MVRC Merit Consolidated 2YO P., 3d MVRC CS Hayes S., Gr.3, Macau Always the Best H., 4th MRC Merson Cooper S., L, Macau Sprint Trophy, L.
MALIBU STYLE (Magnus). 6 wins to 1300m, A$309,725, to 2016-17, WATC RS Crawford S., L, Westspeed Sprint H., Carlton Draught H., Del Basso Italian Day H., Perthracing.com.au H., 2d WATC Beaufine S., L, Placid Ark S., L, Westspeed H., Budget 50th Year Celebration H., 3d WATC Schweppes H., Pink Ladies Raceday H., JJ Richards & Sons H., Del Basso Smallgoods Nursery H., Amelia Park H., Racing #Ascothappens H., Perth Racing Instagram H., 4th WATC RS Crawford S., L.
EXCELORADA (Exceed and Excel). 10 wins at 1000m, 1100m, A$351,990, WATC RS Crawford S., L, Summer Scorcher, L, Perthracing.com.au H., Italian Day at Belmont H., Azza's 20th Birthday H., Peter Rudland Diamond Jubilee H., Perth Racing Punters Club H., PR Festival Club H., Tabtime H., 2d WATC S., L, WATC RS Crawford S., L, Miller Genuine Draft H., 4th WATC Summer Scorcher, L.
ZEDRICH (Zeditave). 2 wins at 2, VRC Criterion H., L, VATC Rancher H., L, 2d STC Pago Pago S., Gr.2, 4th AJC Up & Coming S., Gr.3. Sire. Danarich (Danehill). 2 wins at 1550m, 1600m, A$143,300, MVRC Night Racing H., VATC Oakford Thoroughbred H., 2d VATC Angus Armanasco S., Gr.2, 3d VATC Gipsy Queen H., With Me H. Producer. Little Doutes (Redoute's Choice). 3 wins to 1400m, MRC Wiggle H., SAJC Owen Stanley Ranges H., 2d SAJC Cinderella S., L, MRC Dashing Eagle H., SAJC Myer Adelaide Sprint H., 3d MRC Impulsive H., Bint Marscay 2YO H., Regal Peace H.
SO ANYWAY (General Nediym). 2 wins-1 at 2-at 1000m, 1400m, A$355,525, Scone RC Dark Jewel Classic, L, AJC Grand Armee H., 2d VRC Thoroughbred Breeders S., Gr.3, MRC Arrowfield Stud P.H., 3d AJC Surround S., Gr.2, STC Reisling S., Gr.2, Newcastle JC Newmarket H., Gr.3, AJC James HB Carr S., L, 4th AJC Furious S., Gr.2, MRC Thoroughbred Club S., Gr.3, Mannerism S., Gr.3. Race Record: 9 Starts 5-0-3 A$141,225. 5 wins at 1000m, A$141,225, to 2016-17, WATC Westspeed H., AV Trucks H., Schweppes H., Australia Day BBQ H., EBM Insurance & Risk Management H., 3d WATC Westspeed 2YO P., Mumm Champagne H., Amelia Park Lamb H.